All of us at St. Ambrose are ready to assist you in this important decision-making process, from answering specific questions about our university to walking you through the necessary steps to apply for admission and financial aid. Choose the correct option for you below, and apply today! Apply to St. Ambrose University as a graduate student, you must have completed either a bachelor's or master's degree. As you begin the application process, we highly recommend reading all instructions provided for you. You'll need to submit official transcripts for all secondary (high school, GED program) and post-secondary studies (community college, college, university). 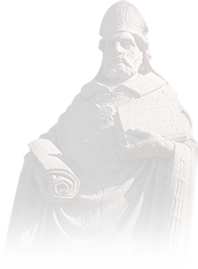 Contact each institution you have attended and request an official transcript be sent to St. Ambrose University. Undergraduate or graduate students whose main residence is outside the United States – no matter how many college courses you've taken or completed – should follow the steps on the International Admissions page. At St. Ambrose University, we understand that sometimes the journey to graduation includes taking a break from classes for a variety of reasons. Ultimately, we want to see you achieve your dreams and earn your degree, which is why we have put together a team of dedicated staff members to help you return to St. Ambrose. Learn more about the steps to re-start your journey to graduation.